“The Flintstones” was such a popular show that it was translated into numerous languages and shown on TV around the world. 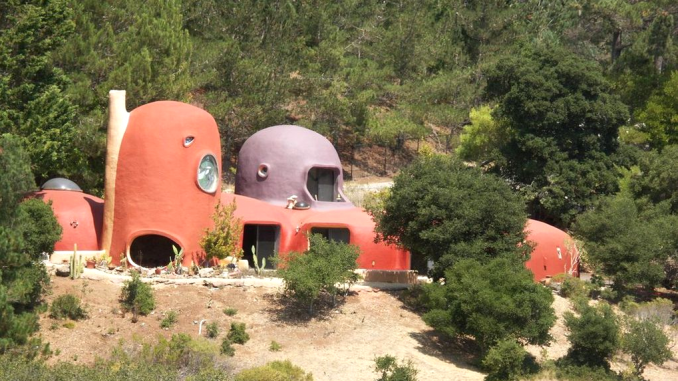 And like the original series, the lawsuit over the Flintstone House in Hillsborough is attracting international attention. The controversy over the iconic home seen by Interstate 280 commuters has grabbed headlines in three London papers (The Guardian, The Independent and Metro), the UK’s Sky News, the Australian website news.com.au, Hong Kong’s South China Morning Post and Ekstra Bladet, a Danish news site. Here in North America, the story has made The New York Times, USA Today, the Associated Press and Fox News Channel. Hillborough’s attorney, Mark Hudak, was even interviewed live on Canadian television. On the other side of the media spectrum, Hudak said he has also been interviewed by Sequoia High School’s student newspaper, the Raven Report. “There was a student enterprising enough to find my number and call me, which was great for them,” Hudak said. Hudak hypothesized that the story has taken off for two reasons. “Look at all the stuff the country is going through, the Mueller report, flooding, shootings and all the rest, and this is a bit of distraction, a welcome one for people. And it may be some nostalgia as well,” Hudak said. Another reason he thinks the story has resonated is that some people may see it as a dispute between an individual’s right of expression versus a local government or homeowner association. Hudak said that amid the news coverage, some readers may have missed the fact that the town’s lawsuit isn’t against the house itself, only some changes that owner Florence Fang made to the house. 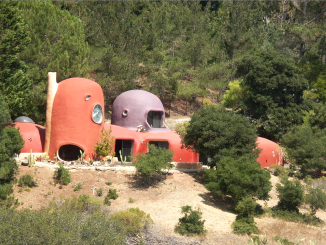 “Everybody focuses on the nostalgia of the Flintstones and a simpler time, and not that this resident kept working in the face of three stop-work notices and a code citation and made a mockery of the planning and permitting process,” Hudak said. As the Post reported previously, the town filed the lawsuit after a town code enforcer inspected the property and found that Fang had added large metal dinosaurs to the backyard (which is visible from I-280) and made other changes to the property. The news coverage has apparently caused people around the world to rally behind Fang, former publisher of the Independent and Examiner newspapers. A petition sprung up on Change.org shortly after news of the lawsuit first broke, which as of Friday evening had over 16,000 signatures. The petition is in favor of keeping the house as is. But Hudak said people he’s talked to in the town support the lawsuit as a way to reinforce the city’s permitting process. “They know their neighbor could be putting in the Jetsons, or something else, and if you don’t enforce the process with a project like this, then Hillsborough can’t retain the character that it’s tried to maintain over time,” Hudak said. Fang got three stop work orders and a citation, and yet she kept going? What’s wrong with her? Was she gunning for a confrontation so she could promote her house on Airbnb? I’ve got to side with the town attorney on this one. If a crazy old lady can blow off town regulations, then anyone can. The violations are over retaining walls and minor improvements that have no impact on the area around the home. The owner also applied for approval retroactively, one she was informed of the need for the permits. The problem that has ignited everyone is that the Attorney doesn’t just want that work redone with proper permits. He wants -everything- torn down. 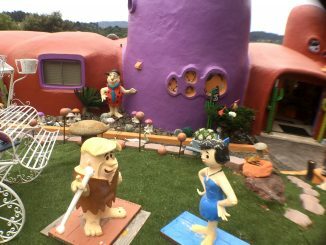 The cool dino sculptures, the improved landscaping, the ‘Yabba Dabba Doo’ sign. Everything. Even though 90% of that has no bearing on the permit violations. She’s right to stand up to his bullying. He doesn’t like the changes she’s made and he’s using the law to strongarm her into tearing it down. That’s wrong no matter how you look at it. Smells like a publicity stunt, and the media was stupid enough to take the bait. It would be an eyesore in any Zip code. I wish I had a neighbor as cool as this gal!